The study of martial arts is a complete discipline. It aims to strengthen the health, the body and the mind. What one learns is not only to be used in the dojo (or in competition) but anytime it is needed in everyday life. It's neither a game, nor a sport, but a way of living and developing one's character and a good personality. The practice of Martial Arts suits everyone, men and women, young or old, strong or weak. Everybody can practice at his own level, but always trying to improve it. Training is long and can be hard, but it is also rewarding, progress starting from the very beginning. Furthermore, in the regular practice and through the techniques being learned, we insist on preserving, and even improving, one's health. The beauty of Martial Arts lies in the fact that it is endless. One can practice forever and improve forever. Martial Arts can roughly be classified into 2 categories, external and internal. Some features are common (control, balance or stability, body and mind) and some are specific. External martial arts make use of physical strength, by learning and applying various fighting techniques. Karate and Kobudo, what we practice in our school, belong to this category. Internal martial arts focus on the development of energy, control of breathing and body movements while working in total relaxation. For this, we practice Tai Chi Chuan. 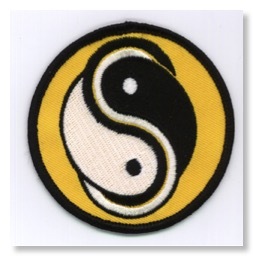 Both external and internal martial arts have their particular virtue and can be practiced on their own. However, the combination of both provides a tremendous benefit.